Please note, the ipset source supports kernels released by kernel.org. It may or may not work on distribution-specific kernel sources. 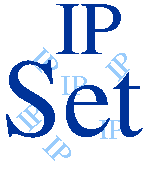 Read the ipset and iptables man pages before exploring the world of IP sets.